Rigpa’s Dublin meditation centre, established in 1986, is a place to discover and connect with the practice of meditation drawn from the authentic wisdom of Tibetan Buddhist teachings. We offer the opportunity to explore how this can help us in our busy modern lives. For those who have already established a meditation practice, the centre is somewhere to come and gain inspiration and support. 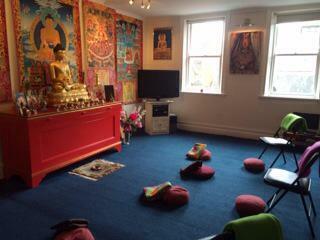 Our centre is in the heart of Dublin and features an inspiring shrine room with a golden Buddha statue. We look forward to seeing you at Rigpa Dublin – a refuge in the heart of the city. One day complete introduction to meditation and bringing the benefit of our practice into daily life. Suitable for beginners and for those with some background in meditation. This is an opportunity to practise meditation. The sessions are lightly guided, however the primary focus is on providing a quiet space to practise. 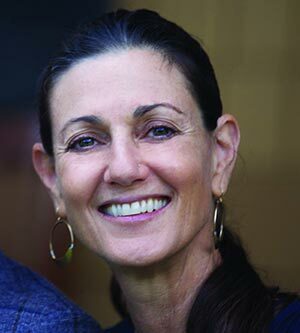 It is a wonderful opportunity to come and meditate in an inspiring environment & take the time to come home to yourself. Donations welcome. The All-Encompassing Path Monthly Gatherings are now open to all Rigpa students. Suggested donation for non-AEP students is €10. These study sessions are restricted to Dzogchen Mandala students. Rigpa Dublin is part of the registered charity Rigpa Ireland CHY 19478 RCN 2007645. Our centre activities are run solely by volunteers.